Stir the yoghurt to loosen and place in a mixing bowl. Add the dates, walnuts, minced garlic and walnut oil and stir to combine. Season to taste with salt and pepper. 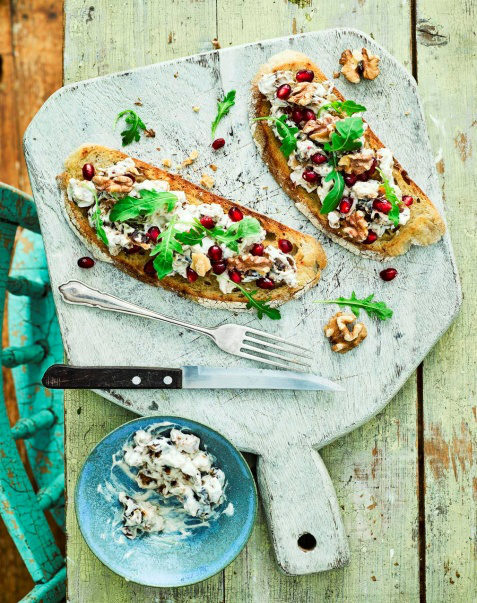 Top the toasted bread with the date mixture, then sprinkle with pomegranate seeds to serve.